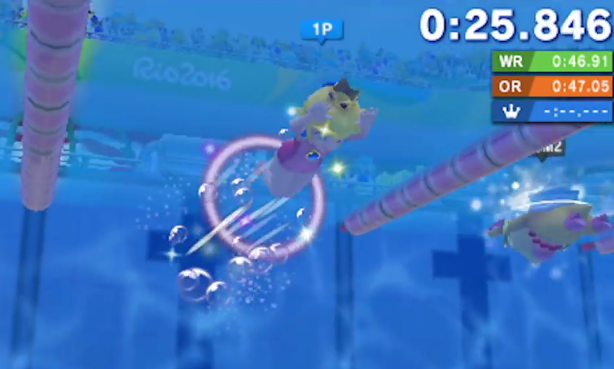 By LUDWIG VON KOOPA - To play at the Olympics! And the arcade? You know, playing at the Rio Olympic Games was never on my agenda. That's basically my whole August destroyed in foreign lands. You think I know Portuguese? Plus, all the training. We just gotta do it to represent Koopa Kingdom against plumber and Sonic. Well, I was honoured to be selected, so yeah, you'll see me there August 2016. I have no idea how this site will work during that time. Maybe it won't! Maybe you'll join the staff and pick up the slack. Maybe our existing staff will. I doubt it! Remember: Training takes a huge investment of time if you want to do well. 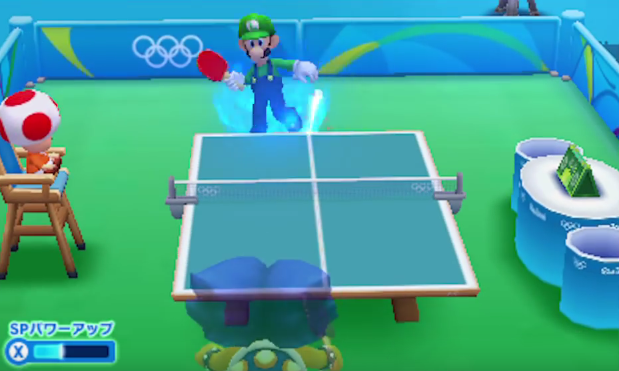 I know an Olympic athlete (and not counting King Dad's previous participation in Mario & Sonic at the Olympic Games games) and she had to dedicate her life years in advance. Meanwhile, I'm just learning about this now and already regret it. Well? Did you spot the cool Koopas there? Let me tell you, though. I'm not there just to play paddle. I'll be picked upon to play EVERYTHING. I should really get training NOW. Fortunately, I'm not alone. My sister, and fellow KoopaTV staffer, is also gonna be on my team! Wendy O. Koopa underwater shot. ...She really likes swimming. I'm not too good with swimming, but Wendy has experience wanting water parks and hanging out in heavily water-based worlds. She's a fan of Pokémon Alpha Sapphire and Hoenn, I think! 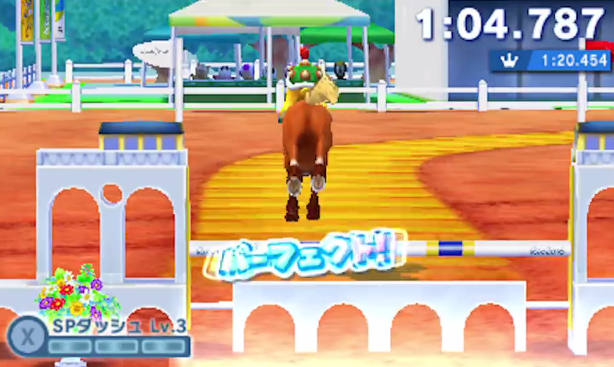 Meanwhile, Bowser Jr. is either a My Little Pony fan or is pretending he's riding Epona. Or both. 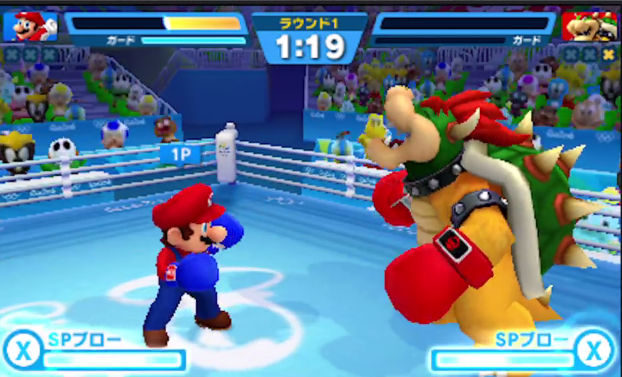 ...Yeah I dunno why Bowser Jr. is coming too. Perennial performer King Bowser Koopa is also gonna be on our team. He's being bullied by the plumber in his only appearance in the video, because that's all that red-hatted jerk does. We not only have to defeat that angry white male you see in the above screenshot, but a ton of furry hedgehogs and his friends. But we must do it. For the glory of Koopa Kingdom! When I'm not training on the mountains, maybe I'll blow off some volcanic steam by visiting the local arcade. Look how many of me there are! Casinos are outlawed in Brazil, so I gotta do it before I go there. Not that I'll, uh... y'know... gamble myself away. 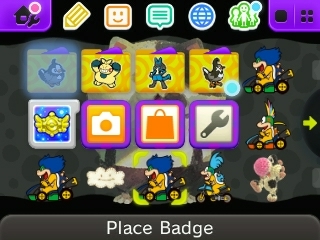 All those Ludwig badges are from free plays! KoopaTV won't go on a hiatus in 2015, but with Ludwig's Olympic endeavours, one might happen next year. Just letting you know. The HOME menu you see there is... now on another system! The full Team Koopa roster for Rio 2016 is here! As of later March, Team Koopa has finally stepped claw into Rio de Janeiro! I downloaded Nintendo Badge Arcade (against your better advice) and so far only played with free plays. I got 4 free plays today from the practice catcher today because I got enough points and got the practice badge with a mark. I haven't gotten a practice badge with a mark since day 1!